All component parts are checked at every step of the manufacturering process to ensure the end product meets our high quality standard. 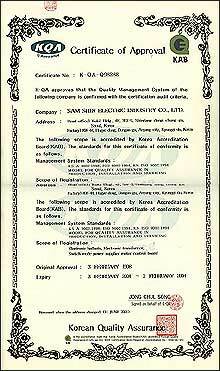 Our manufacturing plant has been quality approved to the standard of ISO9002 for all products. The object of our quality assurance system is to guarantee zero defective ratio of finished products to valued clients according to ISO9002. To fulfill this goal,we have been making all efforts to introduce a new QC system,attend seminar and train employees. Low temperature lamp strike and lamp life.